If you’ve already decided you don’t like Brussels sprouts, it’s probably because at some point in your life someone served you some where their tasty, nutty, sweet flavor was boiled away. When you learn how to cook them properly, you may find them totally yummy! Brussels sprouts look like mini cabbages and are in fact in the same family. Brussels sprouts are full of vitamin K, which is responsible for good bone health. One cup of Brussels sprouts has over 270 percent of your daily vitamin K requirement. Studies have found vitamin K to be helpful in increasing bone density and reducing fractures in osteoporosis patients. 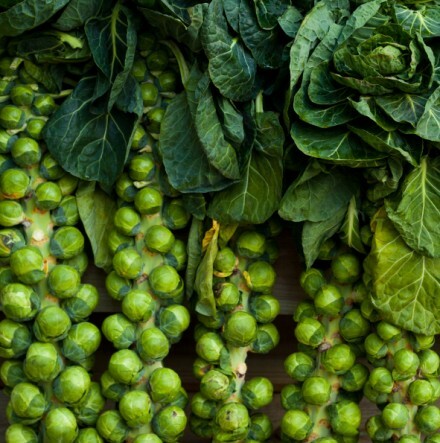 The research for how Brussels sprouts helps fight cancer is vast. Here are a few highlights. Brussels sprouts are a cruciferous vegetable, which have been shown to lower overall cancer risk, according to research at Oregon State University. People who ate greater amounts of Brussels sprouts had a lower risk of cancer, as stated at the National Cancer Institute fact page. Cruciferous vegetables inhibit and regulate cancer-causing genes. Cruciferous vegetables are “key to eliminating cancer,” according to research at the University of Alabama at Birmingham. Also, Brussels sprouts are a glucosinolate-containing cruciferous vegetable, which a 1995 study found reduces colon cancer. 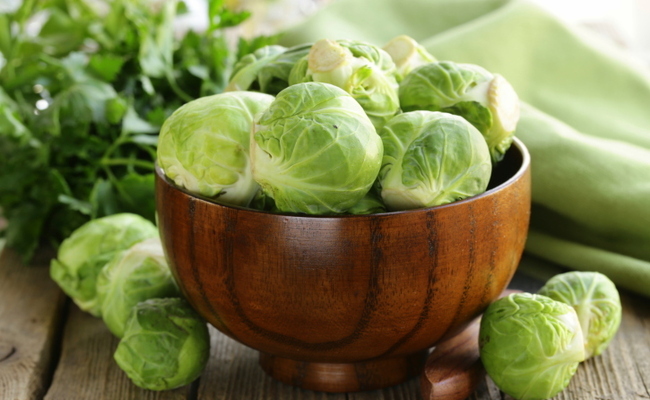 When Brussels sprouts are steamed, the fiber components bind with intestinal bile acids, helping them to pass out of the body. This creates a need in the body to replenish lost bile acids, using the existing supply of cholesterol, thus reducing it. Uncooked Brussels sprouts do have some ability to lower cholesterol, but it’s low compared to the process of steaming, according to the Western Regional Research Center. Brussels sprouts contain a good quantity of protein. There’s 4 grams of protein in one cup of Brussels sprouts. You will get the most protein when you eat them with a whole grain as they need the balance of other amino acids. One cup of Brussels sprouts has only 56 calories. They are low in fat and have 4 grams of fiber. This fiber has many benefits for your digestive system and gives you that ‘full’ feeling. They are nutrient dense so your body is also satisfied long term. They are spelled Brussels sprouts, NOT Brussel sprouts and NOT brussel sprouts. A team of scientists with local schoolchildren lit a Christmas tree in London, England from the energy of 1,000 Brussels sprouts! Brussels sprouts are used in Chinese medicine to improve digestion. Brussels sprouts are the most hated vegetable in Britain and America! 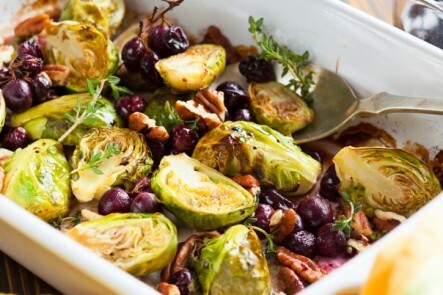 One serving of Brussels sprouts will meet your needs for vitamin C and vitamin K for the day. 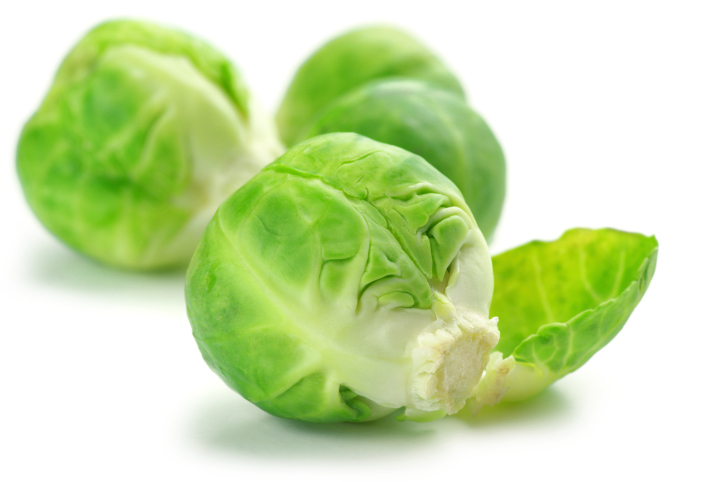 Brussels sprouts are one of the top 20 most nutritious foods as scored by the Aggregate Nutrient Density Index. Brussels sprouts also contribute to your daily need for calcium, providing 37 milligrams in one cup. The name Brussels sprouts comes from Brussels, Belgium where they were first grown in quantity in the sixteenth century. Brussels sprouts are said to have been developed from wild cabbages in the Middle East. Roasting Brussels sprouts until they are crispy takes away the sulfur odor and taste. Click here for some delicious recipes.